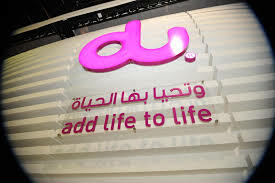 Lenders including Deutsche Bank, HSBC and China Development Bank are resisting calls by Saudi Telecom (STC) to restructure a loan that could potentially leave them with losses of up to $600 million, banking and industry sources said. The tussle over the $1.2 billion loan highlights the risks banks face extending loans to state-owned firms in the Middle East, where billions of dollars of debt had to be renegotiated in the wake of the 2008 financial crisis. It also shows banks, facing tougher capital rules, are less willing to accept losses. STC backed the Islamic loan for Axis Telekom, its Indonesian arm, in 2011. But Axis’ performance has deteriorated and the company is now in breach of some of the loan’s terms, four sources aware of the matter said. STC, which owns 84 percent of Axis, has asked banks to restructure the debt to reflect its true value of between $600-$800 million. The lenders, led by Deutsche Bank , have refused, and are considering alternatives to recover their money, the sources added. “On the one hand, you have a big exposure that you cannot let go and on the other side, you have to be careful of your business relationships in the kingdom,” one Dubai-based banker said. The deadlock is complicating STC’s plan to sell Axis Telekom to its rival, PT XL Axiata . STC needs the consent of the creditor banks before it can sell the business. STC declined to comment on the loan negotiations but in an emailed statement confirmed it was in talks to sell Axis as its financial performance has been poor. HSBC and Deutsche Bank declined to comment, as did XL Axiata CEO Hasnul Suhaimi. A source with direct knowledge of the deal said the two companies are yet to agree on Axis’ valuation. STC is demanding $800 million to $1 billion while Axiata wants to pay $500 million to $600 million. HSBC and Deutsche each have around $250 million exposure to the Axis loan, while China Development Bank has about $350 million, according to two of the sources familiar with discussions. Problems with the loan started about three months ago, when STC’s new management asked banks to restructure it. STC’s chief executive resigned in March and the heads of its international and domestic operations have also left. The banks argue that a “letter of support” for the loan from STC obliges the firm to honour it in full, which STC is refusing to do, according to the sources. The loan was structured under English law which means the banks can pursue legal options outside Saudi Arabia if need be. Even a 10 percent haircut may result in losses of about $25 million each for HSBC and Deutsche, wiping off almost all the money they earned in fees from the region in the first half. Deutsche was the top fee earner among investment banks in the Middle East for the first half of the year, earning $27.4 million in fees, followed by HSBC, with $24.4 million, according to Thomson Reuters data. Among other banks, Citigroup Inc is said by two of the sources to have an exposure of less than $100 million. A spokesman for Citigroup in Dubai was not available for comment. The Axis loan included a $450 million sharia-compliant murabaha facility arranged by Deutsche Bank and HSBC and underwritten by the banks’ Saudi affiliate. A murabaha is a cost-plus-profit arrangement. China Development Bank was not available for comment.